NSwitch is the one of the new and most priced product of NYRA. It is categorized as a type of switching, with its main purpose is to provide micro-banking services transaction using EDC (Electronic Data Capture) and/or PC (Personal Computer) as means of a terminal payment. 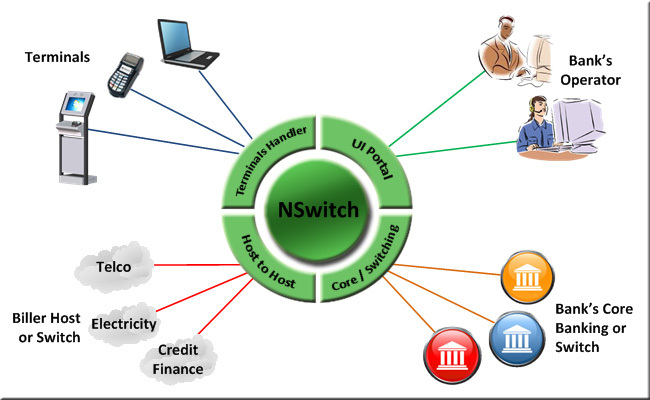 NSwitch enable bank’s customer or non-customer to conduct payment transactions to banking payment services or other third party payment services. Its main features are mini-ATM (ATM non-cash transaction services), bill payment services, phone reload voucher, etc. Company Profile | Products | Customers | Privacy | Legal | Career | Contact NYRA ©2005-2012 © PT. NYRA. All Rights Reserved.